Alexandra is a fully registered and insured registered member of the the Craniosacral Therapy Association of the UK, Shiatsu Society UK, and the Equine Shiatsu Association (tESA). 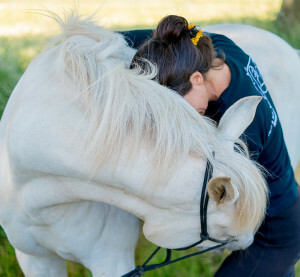 Over 20 years ago, Alexandra’s work with horses inspired her involvement with Shiatsu. She trained with the late Pamela Hannay, student of Masunaga and senior instructor at the Ohashi Institute in New York and pioneer of equine shiatsu; and the Scottish School of Shiatsu for Horses. Alexandra expanded her knowledge of human Shiatsu with a 3 year professional training at The Shiatsu College Bristol from which she graduated in 2004. In February 2012 she completed a 2 year professional training in Biodynamic Craniosacral Therapy with The Institute of Craniosacral Studies. Alexandra has completed her Qigong teacher training with Nicola Ley and the Shiatsu College in July 2016. Alexandra has a passion to support you on your unique journey into health and self-empowerment. 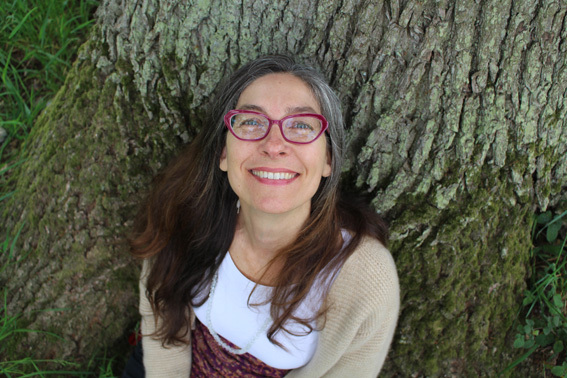 Her work is a great way of maintaining and improving your well-being: used preventatively, to assist you with stress and pain management and to strengthen your immune system. Alexandra aspires to meet your individual concerns, whether the root is physical, mental or emotional.